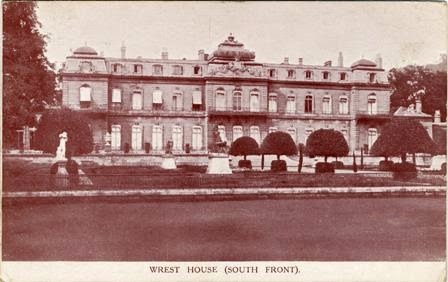 14th September 1914, Wrest Park: About sixty convalescents recovering from injuries they sustained during the Battle of Mons have already arrived at Lord Lucas’s house at Wrest Park, which has been converted into a hospital for soldiers. Some of the Red Cross nurses who have been sent to Wrest were involved in an unfortunate accident yesterday evening. They were given permission to take one of Lord Lucas’s cars for a spin and took a corner badly near the village of Haynes. The car overturned, leaving the driver with a broken arm and the passengers with injured heads. A motor omnibus taking a group of soldiers from Bedford to Shefford stopped at the scene to help and the injured nurses were taken to Shefford. They were well enough to return to Wrest but the car was badly damaged.